탭 브라우저로 유명한 Maxthon 이 8월 21일에 2.5.6.349 버전을 내놓았다. 베타 버전이다. 2.5.5에 비해 비디오 팝업(Video Popup)과 플로트 버튼(Float Button) 등 크게 두 가지가 추가된 버전이며, 설치할 때에는 기존 2.5.5 폴더와 다른 곳을 이용할 것을 권하고 있다. This is the same video feature in Maxthon Video Popup v9 testing version currently under testing. 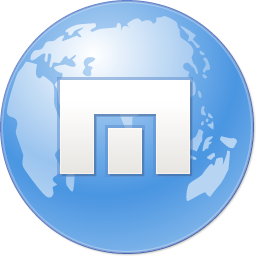 Maxthon 2.5.6 Beta will replace Maxthon Video Popup v9 to continue the testing of the Video Popup feature. 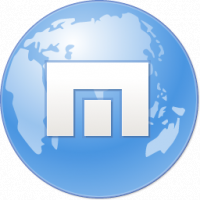 Float Button is a classic feature of Maxthon. When mouse hover images, flash, videos, Float Button will appear to provide relevant functions like save, zoom, add to adhunter etc. The redesigned Float Button, or Float Bar, works also for selected text. It is context sensitive and provides different functions when mouse hover different type of contents. At the moment the Video Popup button will be shown, more functions will be added in future versions.